One week shy from our royal announcement… That’s right, next week we announce the royal headliner of our Burlesque Ball 2017! But who might that be??? SUSPENSE. Oh, and ps. 55$ Tickets are coming to an end, reserve yours here. 1) THE ROYAL HEADLINER – an international queen of burlesque who’s been titled and ranked amongst the top performers in the world. 2) THREE FEATURED PERFORMANCES – by our babes of neo-burlesque who perform and seduce with different styles of the art. 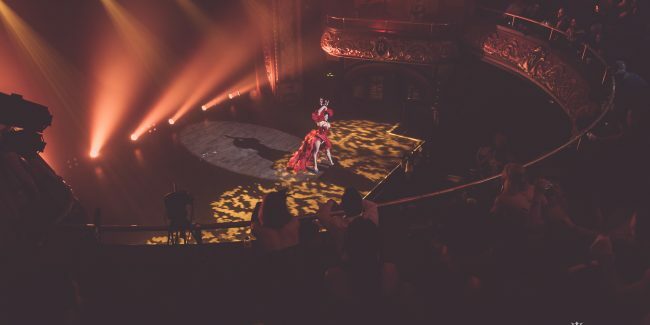 These artists are local and national stars of the scene, such as The Lady Josephine, Lou Lou La Duchesse de Rière, Lavender May, Mimi Cherry, The Foxy Lexxi Brown and Miss DD Star who have rocked our shows in the past, to name but a few. 3) ONGOING SIDE STAGE ENTERTAINMENT – by flirtatious models that roam the crowd for an interactive experience through the night. 4) THE COSTUMES – picture yourself surrounded by 600 people dressed in sequins, top hats, corsets, lingerie, lace, feathers, and rhinestones. Costume play is an important factor in our royal affair. For this special night, we encourage everyone to participate, let loose, and come dressed to impress! Our theme of the night is ”BURLESQUE”, read more about it here. 5) THE ROYAL VENUE – in which the event takes place. This year, our partner The Rialto Theatre; designated as a National Historic Site of Canada, welcomes you to set foot in a Neo-Baroque style Opera House for a decadent night on the town. 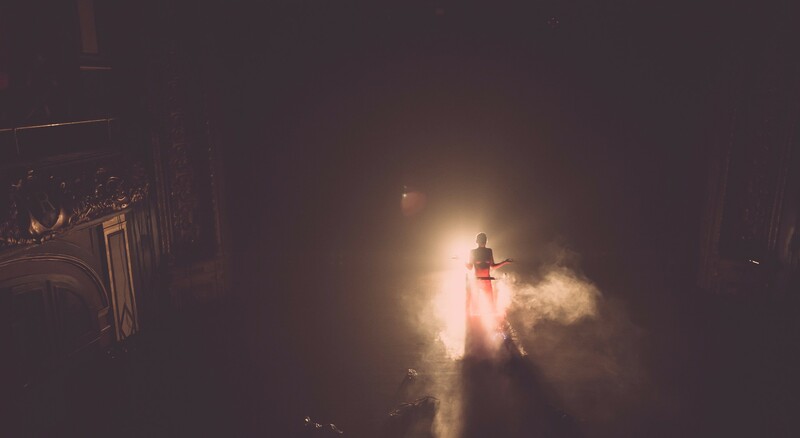 The perfect atmosphere for a royal burlesque experience! Offering world-class entertainment by world-class acts to give you the ultimate royal treatment. You’ll never experience anything like it, our guarantee! Become a member and access exclusive photo albums from our past events here. HOT NEWS COMING UP NEXT: The royal headliner of 2017! The Miss Exotic World is an annual neo-burlesque convention and fundraiser for the Burlesque Hall of Fame that attracts current and former neo-burlesque queens from past decades. Considered a prestigious honor for a burlesque performer referred to as the “Miss America of Burlesque”. The Burlesque Ball® is Monde Osé’s annual celebration of beauty, diversity, and femininity. 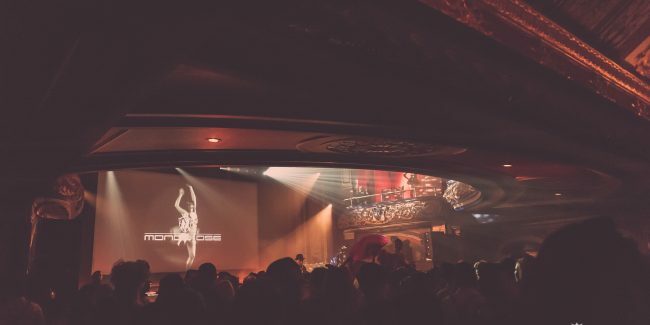 It is Montreal’s most extravagant event of the year, featuring theatrical tease performances by local and international queens of Burlesque. 55$ Tickets soon coming to an end!